And, of all those little gems, it’s that last one I find so compelling. You see, these days, it’s offense that gets all the attention and glory. We tend to celebrate the flashy front runners and the aggressive initiators. Those who go out hard and hang on for dear life. Let’s face it, modern society loves folks who go on the offensive. Home runs, slam dunks, game winning goals–those are the stuff of dreams. Yet for me, the workhorses on the defensive end, those who endeavor to distract, disrupt, and destruct, are the true heroes. The defenders are patient, wily, and sophisticated. Defenders devote their energy to holding back, out thinking, and facing back fear. While the offenders work hard to create and exploit, the defenders exist in large part to just move on to the next play, and the next, and the next, until all the plays are over. In running, of course, we don’t necessarily play offense and defense. Rather, most of the time we tend to toggle somewhere in between. But, in essence, I believe in the cliché, offense does win games and defense truly does win championships. And in winning those championships, the defensive ones find ways to endure that can sometimes be lost on the offensive ones. This morning, I stepped off my doorstep into a typically hot, sultry Virginia day. As I began to run I felt a heaviness in my legs that was likely the result of the heat, the humidity, my recent indulgences, and the general malaise that tends to accompany my midsummer runs. When my GPS beeped at the one mile mark, it was clear that this run was lined up to be a total slog. In that moment, I said to myself, “Play defense.” I shortened my stride, took a couple of deep breaths, and took off my watch. I looked around at the kids playing in the park and the older couples walking leisurely through the forests. I ceased pushing and began to be pulled. Surprisingly, a mile or so later (although I couldn’t tell exactly as I’d turned off my watch), I began to feel a spring in my step. Through the sweat dripping down my face, I mustered up a smile. In my defensiveness, my slog had become a sluice. In modern currency defensiveness is often seen as a negative. “Don’t be so defensive” is essentially code for “lighten up and live a little.” For me, I see it a bit differently. For me, defensiveness is liberating and lightening. Playing defense allows me to let go of the pressure and intensity of offense and just exist in the mode of reaction. Certainly, I can’t play defense all the time, but when I do I can do so all out. And, in the process, move closer to that championship that’s eluded me for so long. This week’s Beer of the Week comes from Cigar City Brewing in Tampa, Florida. 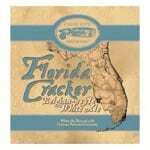 They make a delicious heat defeating Belgian Style Wheat Ale called Florida Cracker that is just delicious. Brewed in the classic Belgian style, Cigar City has added a light hoppy finish to this beer that gives it just the right amount of punch. When have you switched from offensive to defensive on your runs? In your races? I love your posts Andy! And just saw your speech be 2016 WS, wow! I need the full version for my next race! This article is very adapted to the last 2 WS and last year’s UTMB. Who would’ve though Pommeret could win it after he was 50th and the front guys were running like hell. Sandes and Miller would agree too. After a disappointing DNF on my first ultratrail experience from last fall when I started too fast and underestimated the challenge, I bounced back a few weeks ago on a tough race with plenty of vertical, took it easy and finished strong, which was very satisfying. Now I just have to do the same when running marathons so I can reach my goal without a last 15km bonkfest…! Less offense more defense! I hope all the UTMB runners will read your article! Same goes for Hardrock but they look more reasonable. Andy – great perspective article. In my short 5 years as a 52 yr old ultra-runner I’ve developed a philosophy that ‘winning’ mainly involves being able to keep doing it. Defense involves listening to your body, backing off when the endorphins say ‘run!’ and sticking with a heavy dose of Zone 2 recovery days. For me it also includes balance in how many events realistically make sense for me to compete in each year. Phil Maffetone would probably have said it this way: Stick with 80% ‘defense’ (i.e. recovery) and 20% offense (i.e. tempo/high intensity) and to take days off and/or stay in the recovery zone with any significant injury. Defense also involves being fully rested by race day. These things are so hard for competitive people to do. Save ‘offense’ for race day. In ultras, pace that ‘offense’. And if the body pushes past a reasonable pace, go back to ‘defense’, focus on a little recovery, take in the views, and wait for the body to respond. With enough ‘defense’ in your training it should. I certainly have this approach to my own running, and I appreciate past thoughts by folks like Jason Koop on succeeding at ultras by not failing. But that’s because I don’t actually race, and if we’re talking about that I very much take exception to the idea that a successful race involves finishing strong and passing people at the end. I have see a lot of places including this site/column where someone who surges to finish top ten is praised while someone in the same race who faded in the last miles and went from first to third is treated to armchair quarterbacking about managing their effort more effectively. Totally ridiculous. Talk about wily veterans ‘putting on a masterclass’ by ‘sweeping up carnage’ could often without loss of accuracy be changed to someone running under their potential because they’ve chosen to not take risks to discover what they’re really capable of and to not compete for the win that day. I guess I should say I respect all approaches to the sport, but none of us should get too preachy about those who have a different approach. And after Jim at the last 2 WS and Zach at UTMB the armchair quarterbacking seems to be swinging back towards wagging our grey beards at these youngsters who are really running their hearts out, inspiring folks, and evolving the sport. Because make no mistake, this is driven in part by lack of depth in ultrarunning and in a deep enough field, of the type you see in road/track, there will always be someone who sticks the landing and if you want to compete you’re going to have to take some risks. I have to agree that fading at the end isn’t necessarily a bad thing either. My best marathon result was when I ran “too fast” on the first half but somehow managed not to lose too much time when slamming in the wall on the last third part. If I had not run “too fast” that day I doubt a “smart” race would have meant a quicker marathon! It also felt very epic! 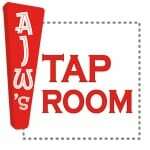 Thanks, AJW! Echoes of the classic George Sheehan essay “Living” here with a new twist. Sheehan wrote “[d]efense narrows down to character, the ability to persist in the direction of greatest resistance.” That’s how I like to see myself on the run – persisting in the direction of greatest resistance. On days like those we have been having in Virginia, what else can you do but persist? But there’s another mindset, another dichotomy, that helps me frame my mental state when “the going gets tough” – predator and prey. Contrary to many, I think of the prey as being on “offense”. Creating, picking the course, leading from the front. The predator follows on “defense”. Never extending itself too far, the predator looks to keep going until all the plays are over and the quarry is run down. The prey needs to get away today. The predator needs to hunt again tomorrow. The prey creates in a wild frenzy to escape. The predator proceeds methodically, responsively, self-contained. Energy is not wasted in creation. Resources are spared for the end. The predator runs you down from behind. When my races go wrong, and my head is in a dark place, it has always been because I have been running like prey. Too focused on the task at hand to care for myself. Too fearful of losing ground to let up. Forcing it. Overextending myself to try and get away from the clock, get away from my competitors, get away from even the relentless fatigue I can never escape. When I catch myself and do what it takes to get back into predator mindset, “persisting in the direction of greatest resistance”, things improve. Luke – I was about to type up a response then saw your post. Could not agree more. Meb at Boston in 2014. Secretariat at the Belmont in 1973. I’m sure there are plenty of other examples of “nailing the landing” as you say. Offense wins fans, defense wuns champioships. But your point is well taken! Money Mayweather is in consideration for GOAT arguably because of his unrivaled defense in the ring. It has become pretty obvious to me after awhile in this game that brains win races, but damn if it’s not fun to put it all on the line and ride Black-22 just to see what happens. Solid piece, AJW!